This week brought a lot of books that look interesting so it was a very good week! Most of the books are from mailing lists I’ve ended up on, but one is a Valentine’s Day gift from my husband. For reviews, I was hoping to get one up last week, but now I’m hoping to finish it for this week. The review I’m working on now is of Iron Night by M. L. Brennan (preview: I LOVED it and think I may have found a fourth favorite urban fantasy series, joining Kate Daniels, Mercy Thompson, and October Daye). On to the new books! My husband got me this book for Valentine’s Day. I don’t read a lot of graphic novels, and I hadn’t heard of this before despite its appearance on several Best of 2013 lists, but he assured me it was one I would like. After reading the description and a little bit of the beginning, I’m inclined to agree that I will probably like it. 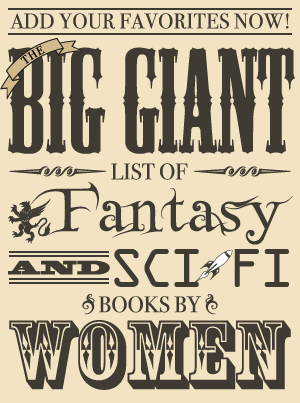 I may need to read this before the Hugo nomination deadline! 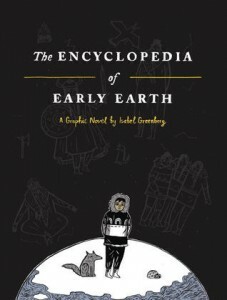 The Encyclopedia of Early Earth is available in hardcover and ebook. Some sample pages are available on the author’s website. This debut novel will be released in June (hardcover, ebook, audiobook). The Quick sounds right up my alley, and I’m pretty excited about it now! This week is unusual in that I ended up with not just one but two new graphic novels. Like the first, I hadn’t heard of this one, but my husband has heard good things about it. After looking at it a bit, I think it does sound like a book I might like. 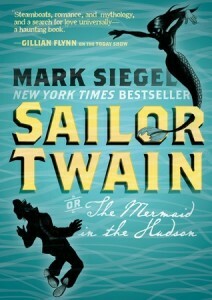 Sailor Twain is currently available in hardcover, and the paperback edition will be available on February 25. A sample can be viewed on the publisher’s website. One hundred years ago. On the foggy Hudson River, a riverboat captain rescues an injured mermaid from the waters of the busiest port in the United States. 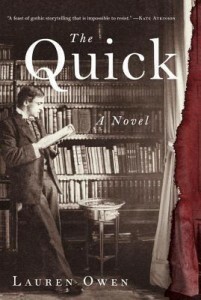 A wildly popular—and notoriously reclusive—author makes a public debut. A French nobleman seeks a remedy for a curse. As three lives twine together and race to an unexpected collision, the mystery of the Mermaid of the Hudson deepens. A mysterious and beguiling love story with elements of Poe, Twain, Hemingway, and Greek mythology, drawn in moody black-and-white charcoal, this new paperback edition of the New York Times Best-Selling graphic novel by author/illustrator Mark Siegel is a study in romance, atmosphere, and suspense. Don’t miss Sailor Twain. I have wanted to read this ever since first hearing about its US release last year. It was released in the UK on February 14 (paperback, ebook). 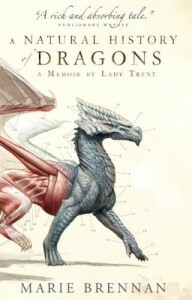 An excerpt from A Natural History of Dragons is available on the author’s website. A second book, The Tropic of Serpents, will be released in the US on March 4. You, dear reader, continue at your own risk. It is not for the faint of heart no more so than the study of dragons itself… From Scirland to the farthest reaches of Eriga, Isabella, Lady Trent is known to be the world s preeminent dragon naturalist. She is the remarkable woman who brought the study of dragons out of the misty shadows of myth into the clear light of modern science. But before she became the illustrious figure we know today, there was a bookish young woman whose passion for learning and natural history defied the stifling conventions of her day. Here at last, in her own words, is the true story of a pioneering spirit who risked her reputation, her prospects and her fragile flesh to satisfy her scientific curiosity; of how she sought true love and happiness despite her lamentable eccentricities; and of her thrilling expedition to the perilous mountains of Vystrana, where she made the first of many historic discoveries that would change the world forever. The second Pardox book, following Fortune’s Pawn (which I still need to review), will be released on February 25 (paperback, ebook, audiobook). The third and final book in the series, Heaven’s Queen, is scheduled for release in April of this year. 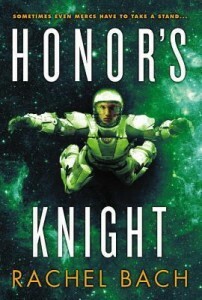 The rollicking sequel to Fortune’s Pawn — an action packed science fiction novel. After a mysterious attack left her short several memories and one partner, she’s determined to keep her head down, do her job, and get on with her life. But even though Devi’s not actually looking for it — trouble keeps finding her. She sees things no one else can, the black stain on her hands is growing, and she is entangled with the cook she’s supposed to hate. But when a deadly crisis exposes far more of the truth than she bargained for, Devi discovers there’s worse fates than being shot, and sometimes the only people you can trust are the ones who want you dead.